UAL students have acted as consultants to the Norfolk and Suffolk NHS Foundation Trust and delivered recommendations which will form the basis of a design brief to improve services. 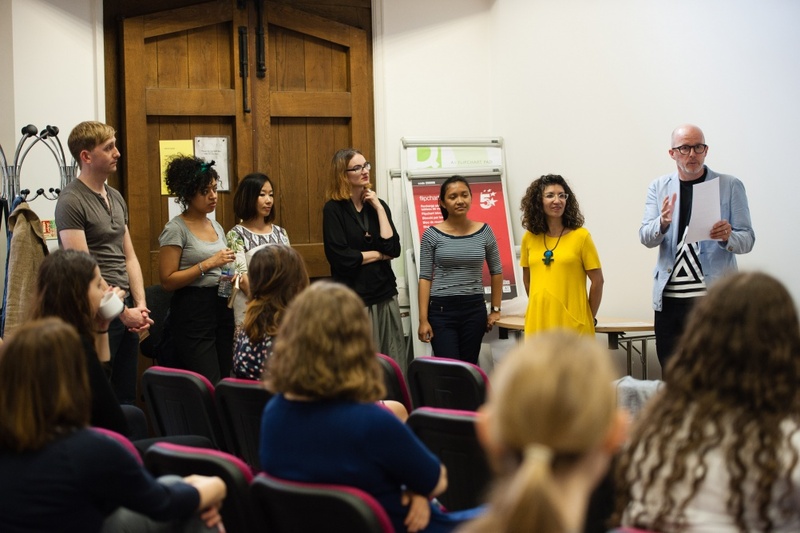 A multidisciplinary team of University of the Arts London students has worked with the NHS on a major project to redesign regional mental health services. During a period of consultation with Norfolk and Suffolk NHS Foundation Trust students have worked with young people and used design to explore how mental health services can be improved. The project has resulted in a series of recommendations which will be taken on by the trust to form a brief, which it will use as a basis for overhauling the services it provides. As a result of the work carried out by the students, the NSFT will make changes including decentralising mental health services to create pop-up practices which are more visible to the community, and developing online platforms which communicate with service users in a more familiar tone of voice. 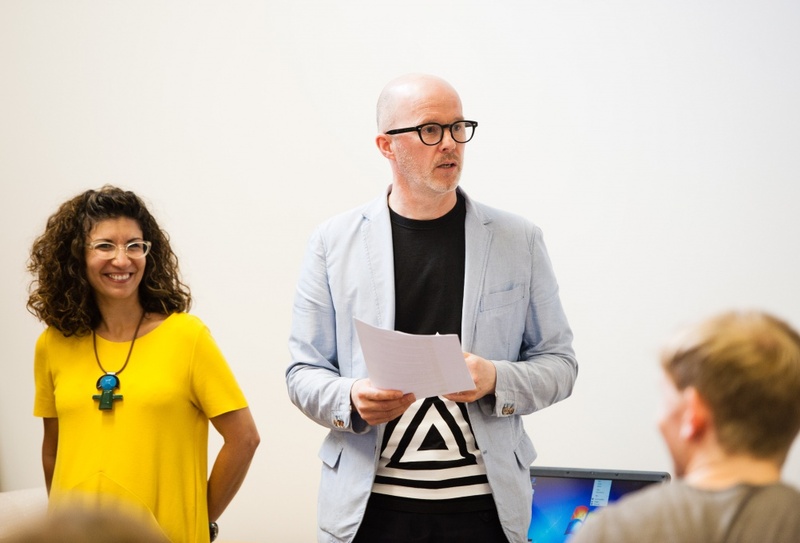 The UAL team has been led by UAL chair of communication design Nick Bell and Camberwell College of Arts 3D design tutor Fabianne Lee-Perrella. Students from five of its six colleges make up the team. They include a documentary illustrator from Chelsea College of Arts, a graphic designer from Camberwell College of Arts specialising in social design, London College of Fashion students specialising in the psychology of fashion and wearable tech in fabrics, a service innovation designer from LCC, an interior designer from Chelsea College of Arts and a graphic designer and former architect from Central Saint Martins. Effectively Bell has built a consultancy which he felt would be fit for the task. It goes by the name of Early Lab and has a remit to work with clients to identify problems in services and drive social change. The motivation for the project is “the value of student experience” according to Bell, who says that apart from expenses UAL has not been paid for the work. This is the first Early Lab project but there will be more and Bell will create new teams made up of BA and MA students who he feels are suitable for future tasks. For the inaugural project Bell’s team spent a week working with NSFT clinicians, members of its Youth Council who are young service users from Norfolk and Suffolk, and mental health charities among other stakeholders. Students began by working with the Youth Council in workshops where they encouraged members to use different coloured crochet yarn to map out their personal support networks. The end result was a storyboard. “It’s thinking through making in the form of 3D information design – very simple but very effective. Different colours represented the hospital, a health centre, self harm and other support strategies,” says Bell. Early Lab and the Youth Council then went on a tour of Norwich and the service users pointed out the kinds of places they’d like to be consulted in. The group also looked at digital space, which revealed that some people turn to self-diagnosis sites and that more provision could be made online to send service users in the right direction. Service access was addressed through storyboarding and stop-frame animation using storytelling to explore a route taken by someone with a mental health issue seeking help. Workshops were also held with service providers including local health commissioners, clinicians working in the NSFT, representatives of Norfolk County Council and mental health charities including Mind, who were all asked to sketch out a map of the service from their own point of view. “It was only because of Early Lab’s unique position, we could ask them all to do this as we’re not involved in any of the politics,” says Bell. Workshop attendees were asked what kind of service they wanted and the third sector was engaged as part of a broader discussion – particularly schools, youth justice and social services. Normalising mental health in schools. Bell, who also runs his own exhibition design consultancy, says that NSFT can use these recommendations as a basis for a brief to procure designers. He hopes that Early Lab can still be of use as the project develops although their task is complete.